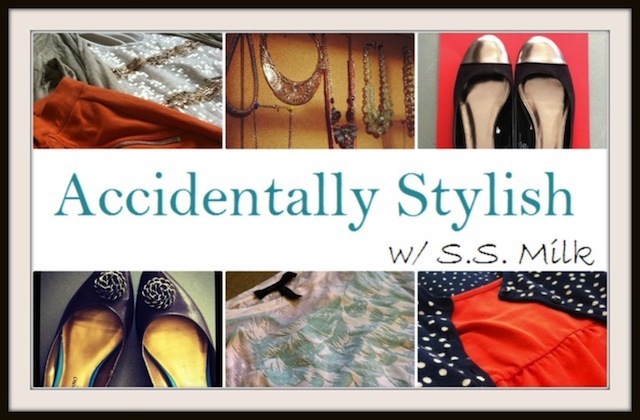 Accidentally Stylish w/ S.S. Milk: Boots, Ten-HUT!! Hello Lovelies! It's October which means it is officially boot season!! The days are getting cooler and boy am I excited. 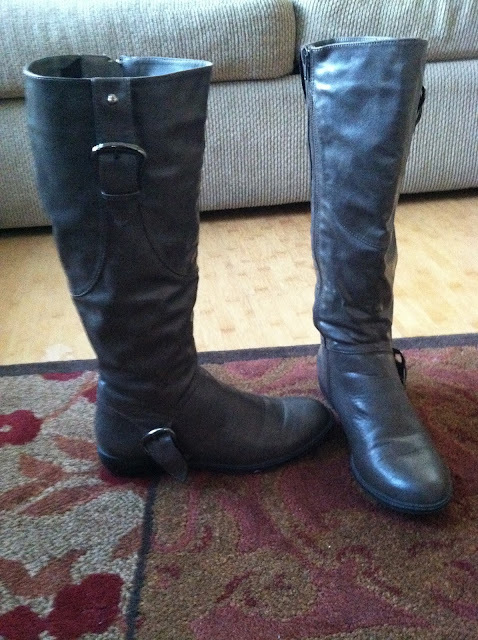 I have been itching to wear my boots for a while and now that the time has come, I am embracing it with open arms. Especially since I have a good selection of boots in my closet to chose from. Don't get me wrong, I still have my eye out for more treasures to add to my collection like this, this, this, and this. Oh and don't forget these...and these! Alright, alright, so what if the list goes on...and on....and on. I did say that I love shoes in my last post so I'm in the judge-free zone. We're all friends here right? While boots, particularly tall boots are such a fashion statement on our legs, let's face it. They don't look fashion worthy on their own. What do I mean? Well, picture this. You're wearing a pair of tall boots you just bought on a casual shopping excursion. Everyone is complimenting you on how fabulous your shoes look and how they compliment your outfit perfectly. 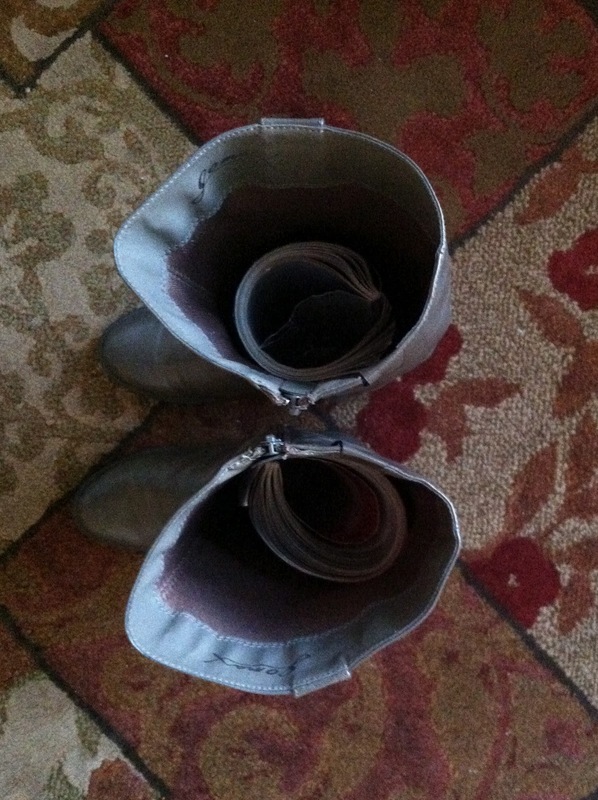 You get home--feeling proud and confident--and step out of your show stopper boots. Then the infamous happens. Recognize this sad look? Yup, the inevitable droop. The lean on me I need a friend look has taken over. Sorry, but this is not cutting it. Not to mention the affect this has on the overall look of the boot. Not cute to have extra folds and creases on a great looking shoe right? So I was on a mission to find something that would hold up my boot, keeping the chic look in tact for when my legs are not in them. What to do, what to do...and then it hit me. I looked around my house and realized that I had a lot of old magazines around. Some from last year, earlier this year, some that I honestly don't read anymore. The pile is insane, but I can't seem to get rid of them because of the great ideas they have--and of course I need to make sure I am not repeating a fashion faux pas. Any who, I needed to find a good use for these extra dust collectors and what better place to use them than in my boots. I rolled them up into paper logs--much like a paper version of a Hostess Ho Ho cake...yum--and tucked them away, one in each boot. The final outlook was exactly what my sad boots needed. The girls were lifted and the wrinkles released. Yup, this was a nifty trick I was happy to discover. Of course I am sure many know about this trick but for me it was more than just a tip.....it was a damn near miracle.....MIRACLE!! Needless to say my magazines are getting lots of use and my boots are getting lots of wear. At least they are going to this season,...and the next....and possibly the next one after that....Oh heck, boots all year round! Long live fabulous boot season and lingering magazines!! Who's with me? Love this! 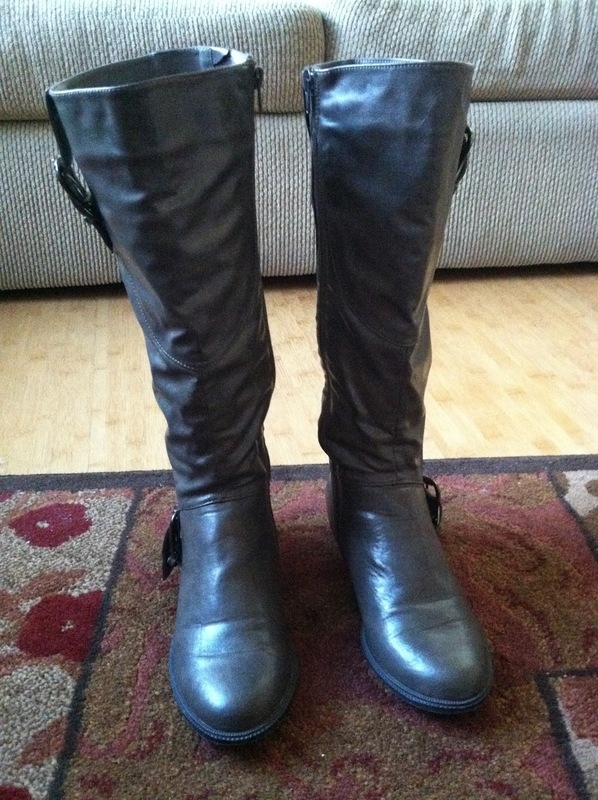 I wish I had known about this before I had to take some pictures of boots for my blog! So clever. Magazines, who knew right? :) Thanks for reading! Oh I wish I could patent this idea LOL!! 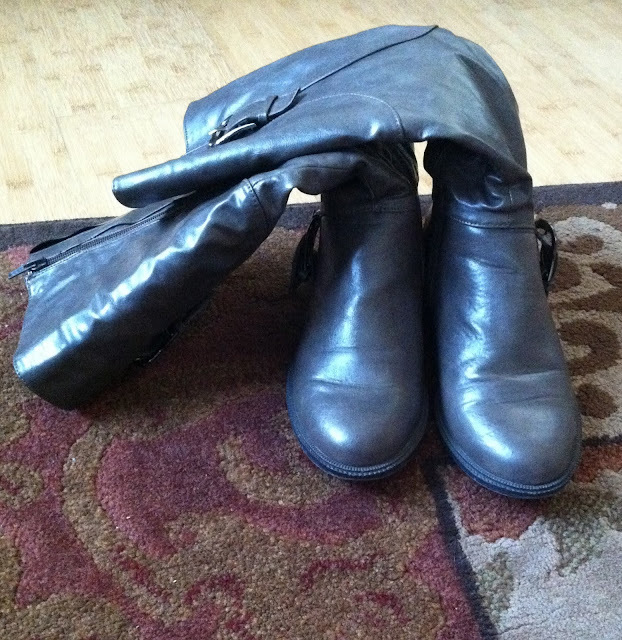 I was getting tired of seeing my boots droop like this too, made it look so sad :) Thanks for reading! Mercy!!!! I am stealing the magazine in the boots idea.... first, let me go take care of the ones in my closet. 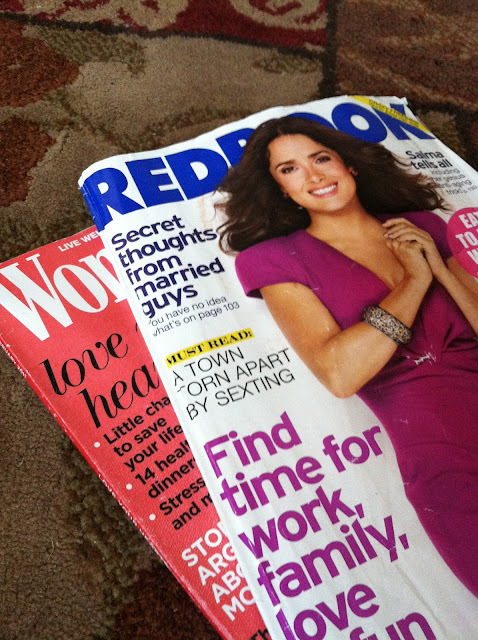 The magazines really are a huge help. I love when things have a double duty! Thanks for reading!